The Revs have helped us secure discounted preferred seats to home games in 2016. For any coaches, players, or families who want to attend a game this year. There are special tickets available through WYSA to sit right at the midfield line. Don’t sit in the corners – sit right in the middle of the action! There will be several chances to win four (4) Category 1 tickets to every home game via fundraising raffles with free reserved parking. The WYSA will coordinating group events at a number of games this year. 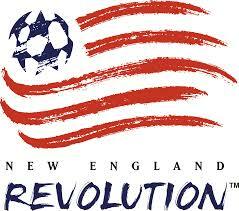 For every person that attends these group nights, the Revs will donate a portion of their ticket back to WYSA. Get together with your teammates, friends, and family, and enjoy an evening with the Revs. Experience the atmosphere and excitement of Major League Soccer at Gillette Stadium with a huge savings off the gate price. Take Your Team to a Game! Coaches or Parents, ever thought about taking your team to a game? What a great way to share your passion for the beautiful game by taking your kids down to a game. Show them how the players do the same warm-up drills they do in practice every week. Groups of 20 or more can get their team name up on the Gillette Stadium matrix board, and discounted tickets. Parking is free, come early and plan a tailgate, and enjoy an evening with your friends, families, and teammates. These include being on the field for pre-game warm-ups, attending pre- and post- game briefings from MLS referees, and meeting players and coaches from the Revs. These are VERY LIMITED and will vary from game to game.